The first “ideation” stage of the challenge, which runs July 1 through Aug. 1, offers as much as $10,000 in awards for ideas on novel uses of the datasets. The second “builder” stage, beginning in August, will offer between $30,000 and $50,000 in awards for the development of an application or algorithm that promotes climate resilience using the OpenNEX data, based on ideas from the first stage of the challenge. NASA will announce the overall challenge winners in December. 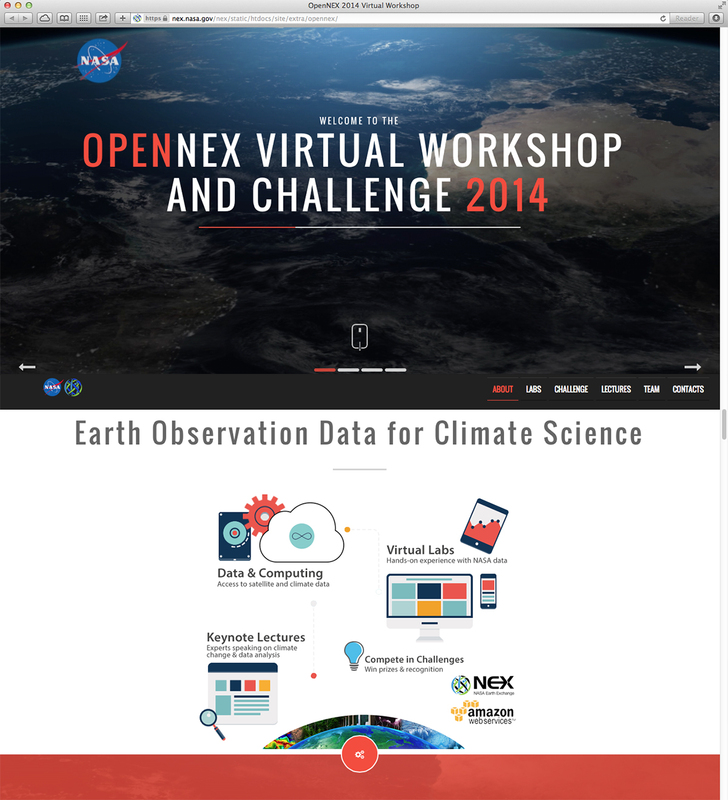 NASA’s OpenNEX challenge addresses a number of White House initiatives, including Open Data, Big Data and Climate Data. These initiatives advance national goals to address climate change impacts on economic growth, health and livelihood, and include the use of competitions and challenges to foster regional innovation. The challenges are managed by NASA’s Center of Excellence for Collaborative Innovation (CoECI). CoECI was established in coordination with the Office of Science and Technology Policy to advance NASA’s open innovation efforts and extend that expertise to other federal agencies. The challenges are released on the NASA Innovation Pavilion, one of the CoECI platforms available to NASA team members, through its contract with InnoCentive, Inc.
To educate citizen scientists on how the data on OpenNEX can be used, NASA is releasing a series of online video lectures and hands-on lab modules. To view this material, and for information on registering for the challenges, visit: https://nex.nasa.gov/OpenNEX. For more information about NASA’s Earth science activities in 2014, visit: http://www.nasa.gov/earthrightnow. For information on the latest NASA Earth science findings, visit: http://www.nasa.gov/earth.